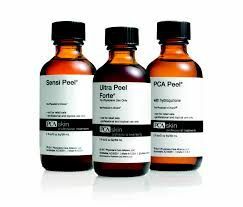 PCA Skin is the innovator of the modified and enhanced Jessner's peel. Over the past decade the line of blended chemical peels has expanded to include treatment options for all skin types, ethnicities, and skin conditions. PCA Skin is a trusted industry leader in the development of gentle, yet highly effective professional treatments for over two decades. We can target anything from fine lines and age spots, acne and acne scarring and texture, hyperpigmentation from hormonal fluctuations, and restoring the elasticity and radiance and over all health of the skin.